* paste in any text they wrote such as an essay, story, report etc. Unfortunately I haven't been able to have my students use Wordle because the computers did not have updated Java. I am *hoping* that these get upgraded this coming school year so we can Wordle everything! Even though the kids can't use it, I still can. Today I decided that I needed to start updating my class website since I am moving grades and needed a fun front page image. I used to have a photo of my open classroom door, but I don't have a photo of my new room yet, so I played around with Wordle for a bit and came up with a nice little image. As you can see, I am also a fan of alliteration. Have you used Wordle in your classroom before? If you haven't tried it yet, go to wordle.net and play around with it! I am your newest follower and I love Wordle..I use it a lot in my classroom. I learned about it in a grad class I took last year and showed my students when I returned to class the next day. They loved it too. 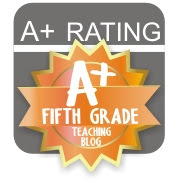 I am a new 5th grade teacher (looping up with my 4th graders)...hope on over to my blog if you get a chance and say HI.